Saturday, October 17 was a big day in Lakeland, Florida. It was the 16th Annual Lake Mirror Classic Auto Festival, founded by Ford Heacock of Heacock Insurance Group. 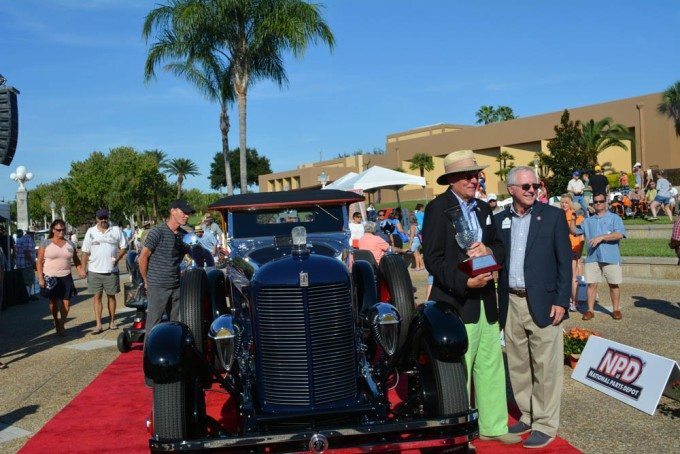 Over 720 cars were displayed, including 120 hand-selected vehicles in the Concours. The Classic included “something for every auto enthusiast,” including a new car show; Friday’s hot rod rally; special club meet areas for Model As, Corvettes, Mustangs and exotic cars; and Saturday’s Lake Mirror Classic Concours d’Elegance. A new feature, sure to be repeated and replicated, was the “Auto-Biography.” Six classic cars were featured on Friday evening and at the Concours on Saturday. One of them was a 1929 duPont 4-Place LeMans Speedster owned by Thomas L. duPont, Publisher of the duPont REGISTRY™. 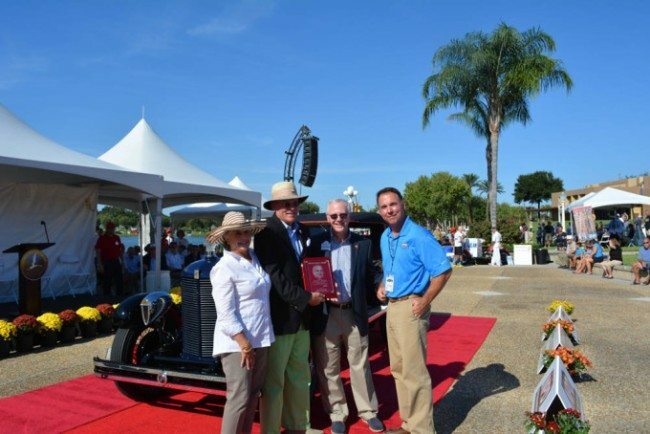 As a part of the program, Mr. duPont drove his automobile onto the awards ramp on Saturday and was interviewed by Ford Heacock and Bill Warner, Chairman of the Amelia Island Concours d’Elegance. Five other classics were also reviewed, including a 1929 Tracta, the 1930 Sampson Miller Indy Roadster, the 1933 “Eddie Hall” Bentley, a 1939 Mercedes benz 540K Roadster, and at the 1960 Cunningham Corvette from the Lance Miller collection. Full results and a great photo gallery are available at www.lakemirrorclassic.com.